We are a non-profit organization dedicated to provide intervention for girls 13 to 17 years of age, who are considered at-risk. 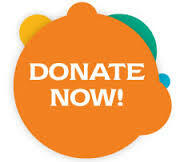 We accept and appreciate all donations, sponsorship and in kind support. Individuals, Businesses and Organizations - statement of motivation, and inspiration to support our college bound youth. All donations will go towards the college bound inititiave. Please Click Here to view Summer Camp Wish List. 1. Renaming the girl camp to include the name of our major sponsor. 2. Your company will be the exclusive naming sponsor for 1 year. 3. This name will be used in the franchising of the run to 10 additional cities. 4. Your company will sponsor the motivational dinners held a month before camp in all 10 cities. 5. Your company will have your name and logo on all promotional material for all events, including advertisement banners, al registration forms, Camp T-shirts all event advertising.